You can’t always see it and many don’t talk about it, but hunger is a daily, global struggle. To support the anti-hunger movement Walmart, the Walmart Foundation, and some of the nation’s largest food companies like General Mills, ConAgra Foods, Kraft Foods and Kellogg Company launched an integrated marketing campaign to help raise food donations during spring when food bank supplies dwindle, and need surges. Using social media as a central component to promote the program, Walmart customers were invited to visit Walmart’s Facebook Contest page to vote for one of 200 communities hardest hit by unemployment. 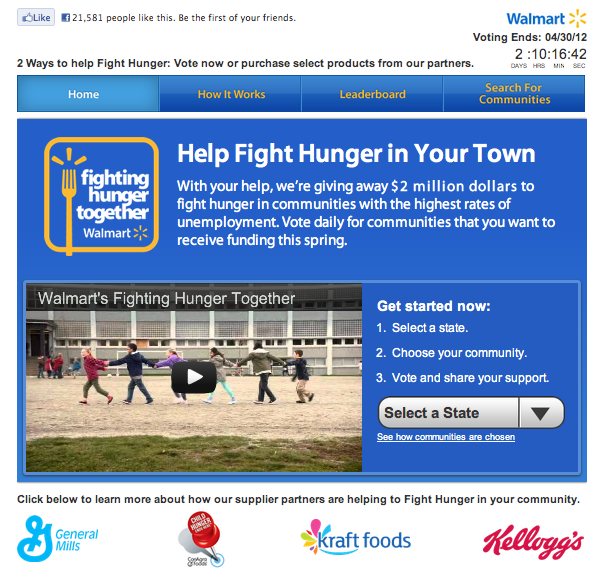 The community that tallied the most votes was awarded $1 million to help fight hunger. The next 20 communities each received $50,000 for hunger relief. After a visitor voted they could view what towns were leading and how many votes they had, in real time. The contest spurred several food banks across the US to create public relations campaigns and they encouraged residents in their areas to vote to increase their chances of winning. There was a lot of media coverage at the local level, like this contest article in a Youngstown, OH newspaper. 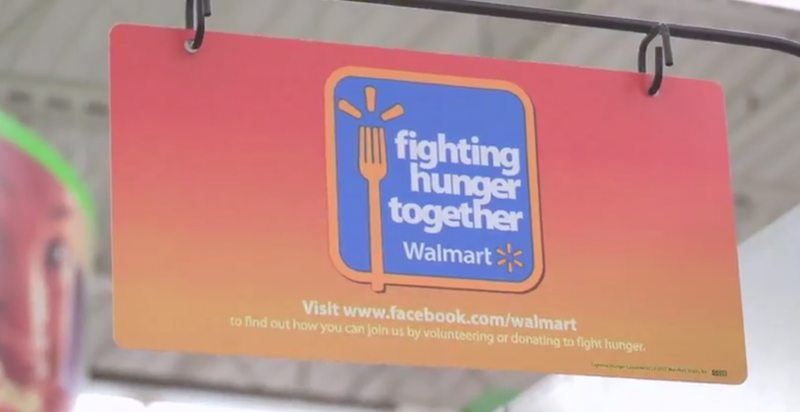 Along with video and Facebook, Walmart integrated its Fight Hunger campaign throughout its stores with signage that drove people to visit Facebook and vote for their community. This is excellent, as too often social media isn’t supported in three dimensions. 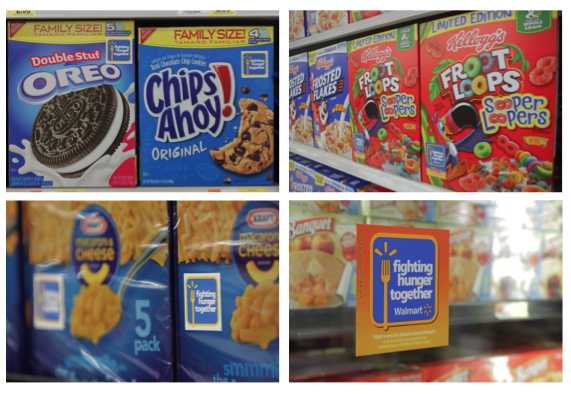 The campaign’s food manufacturer partners also created custom packaging on some of their products to also promote the program in Walmart stores and neighborhood markets. 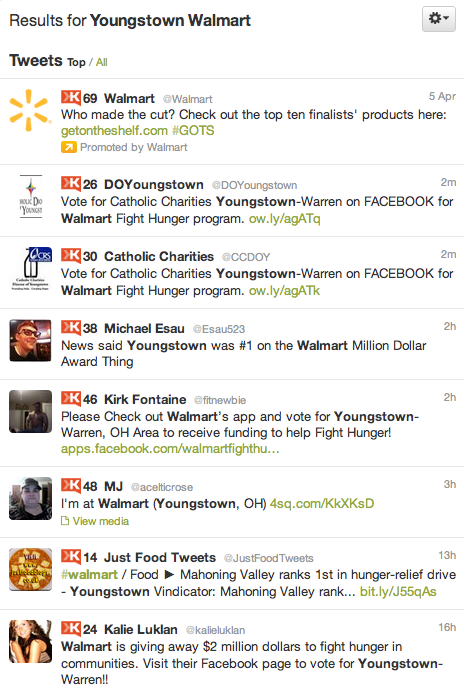 Drum roll….. And the winner of Walmart’s Fight Hunger Contest with more than 98,000 votes was Youngstown-Warren, Ohio. The rest of the winners and the story. 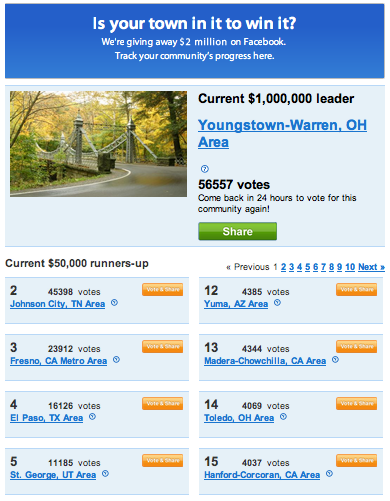 Congratulations to Youngstown, OH for showing how a small town with a population of 73,000 can come together and out-vote large urban centers with millions of people, and win for their cause. Today’s technology and social media advancements around fundraising have leveled the field. While it’s brought accessibility to a wider pool of donors for the nonprofits that want to leverage it, it has also put philanthropy and social responsibility for corporate giants, like Walmart, under a larger microscope. 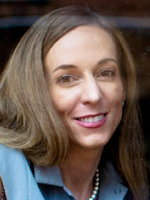 It doesn’t matter if you’re a global philanthropy or a small nonprofit at the local level. If you understand, utilize and capitalize on the power of social media for social good you have the ability to get in front of thousands, and perhaps millions of people like never before. This great social (media) shift is helping corporate giants with philanthropic ambitions become more human and allows the local nonprofit to become more accessible. How has social media helped make your small- or mid-sized nonprofit more public and accessible? If you’re a large corporation how are you leveraging social media to showcase your corporate social responsibility?